G2 Glass and G3 Synthetic disposable panel filters. Bag Filters F6 to F8: Multi-pocket design with synthetic media to achieve maximum efficiency and high dust loading capacities. Minipleat particle filter range is designed for applications where fine filtration is required, but not to the extent of HEPA filtration. Minipleats are available in a range of filter frame/housing constructions, including aluminium, mild steel, stainless steel and fibreboard for cost effective panel versions. Also available are 2-3 stage combination type panels. A polyurethane foam layer can be incorporated within the panel, together with a carbon impregnated pad to provide a good level of odour removal and particulate filtration. 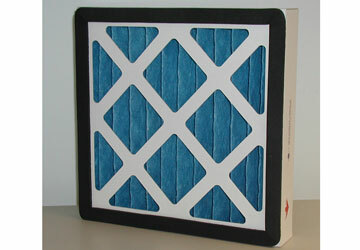 If you are not sure what filter you need, or require more information call us on 01403 253215 or send an enquiry. One of our team of experts will be able to help answer any questions that you may have and advise you on the correct product for your application.